Many companies still aren’t ready to make a full-scale move to cloud-based technologies. 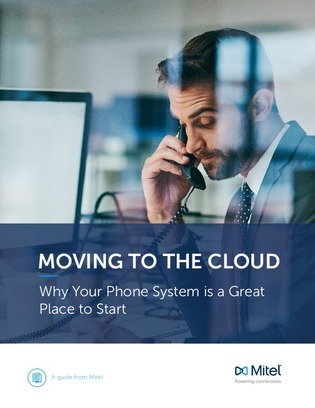 If you’re overwhelmed by cloud adoption, migrating phone system is a great place to start. Download this white paper to find out the 4 reasons why starting your journey to the cloud via your business communications needs makes sense.